The Max Protection Storage Plastic Corrugated Box is the highest quality, most competitively priced storage box on the market today. They are constructed of corrugated plastic and designed to last much longer compared to standard cardboard boxes. These boxes are moisture resistant, won't have that funky smell that cardboard can have as it ages and are also cleanable. 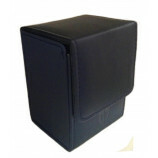 Use this box to store and protect collectible trading cards like: baseball cards, basketball cards, football cards, Magic The Gathering, Yu-Gi-Oh, Pokemon, and others. 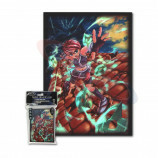 Max Protection Game Sleeves are an acid free, archival quality product that is designed to protect, store and display your valuable collectible gaming cards like; Magic the Gathering, Pokemon, and others. Use these protective sleeves for all your gaming needs. Precision cut for consistent sizing. Wholesale Customers... Please log in to view wholesale prices. Prices on the website are retail pricing by default.